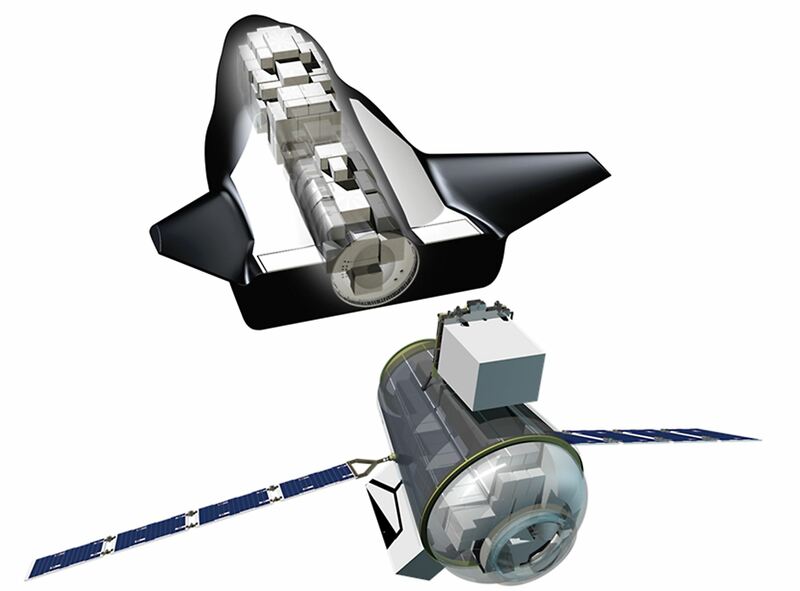 The Dream Chaser spaceplane could be launched on the Arian 6 rocket and used as an uncrewed orbital laboratory by the European Space Agency (ESA) in the 2020s. Developed by the SNC with the help of NASA under its commercial crew and cargo programs, the spaceplane is large enough to carry 5.5 tons of cargo, but small enough to fit inside the top of the Ariane 6 rocket. The European company Ariane Group is developing the Ariane 6 rocket that will be able to deliver up to 20 ton into low-Earth orbit (LEO). Ariane 6’s first flight from ESA’s spaceport in Kourou, French Guiana is expected next year. “We could enhance the capability of the Dream Chaser. It would include kits for the accommodation of the payloads, to enhance the power and cooling and communications system,” says Marco Berg, head of human spaceflight at OHB System, a German company leading the €350,000 study for ESA. Of that amount, €250,000 came from ESA and the other €100,000 – from OHB. Launched by Ariane Group's Ariane 6 rocket, the Sierra Nevada Dream Chaser spaceplane would operate in Earth orbit for up to three weeks with a cargo module attached. The Dream Chaser would return to a European runway while the cargo module could remain in space for longer before it burns up in the atmosphere. The mission concept set out so far by the ESA-funded study involves Ariane Group’s Ariane 64 rocket, the Ariane 6 with four boosters, launching the Dream Chaser and a cargo module attached to it from Kourou. The cargo module and spaceplane would operate in LEO for up to three weeks. The Dream Chaser would return to an as yet unspecified European runway. The cargo module could remain in space for continuing automatic experiments before it burns up in the atmosphere. The spaceplane could be used by the ESA while the agency also uses the ISS, or after the ISS is retired. OHB’s study is based on results of the Dream Chaser for European Utilization Pilot Phase project that began in 2015. Dream Chaser is expected to provide six cargo missions for NASA for the International Space Station (ISS) from late 2020 until 2024. In January 2016, SNC was awarded a NASA cargo contract. Through NASA’s Commercial Crew Program, Sierra has been able to use the agency’s wind tunnels for Dream Chaser studies and experiments. In 2017, a Dream Chaser conducted a captive carry flight attached to a helicopter. For the NASA cargo missions, the spaceplane is to be launched to the ISS on a United Launch Alliance Atlas V rocket from Cape Canaveral. A former engineer, Rob Coppinger has almost 20-years of experience working as a full-time staff writer and in editorial management positions in aerospace, aviation, IT and engineering publications. He had worked for the BBC, IHS, Flightglobal, Air Cargo Week, The Engineer, and many other publications. Now Mr. Coppinger is providing technical and writing expertise on a freelance basis.